NOTE: LocDetailing is a unique service developed by CleanLocs using a special tool to remove deeply embedded lint or gunk from within the core of the loc shaft without completely unravelling the loc. LocDetailing is both time and labour intensive and is not recommended for first time visitors, or Locs that are less than 1/4” in width, or Locs that have more lint than Loc. CANT AFFORD IT RIGHT NOW? Want to get your Locs cleaned or Detailed but cost is an issue? 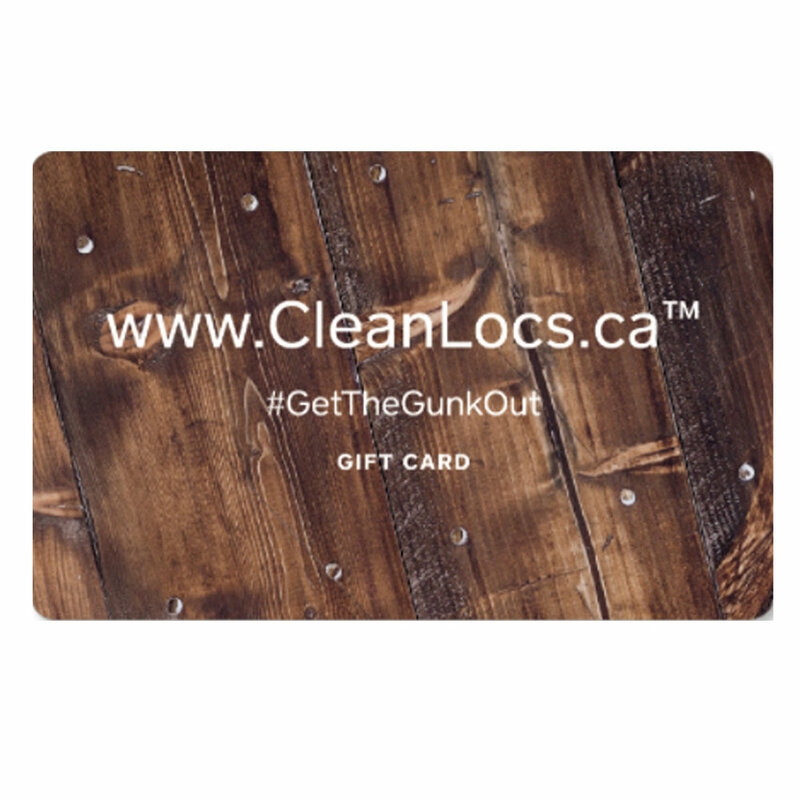 Introducing CleanLocs GiftCard Layaway Plan! 4. Keep your card and earn a $5 credit every time your spend money in shop!